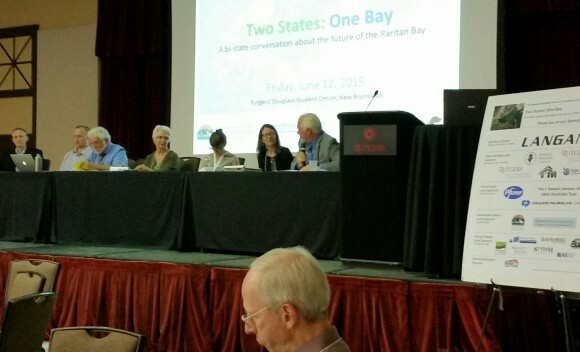 Share the post "2015 Sustainable Raritan Conference Opens NY/NJ Dialogue on Future of Bay"
SEBS professors Steven Handel and Bonnie McCay participated in the “Towards a Shared Agenda” panel at the Raritan Bay conference. “Two States: One Bay, a bi-state conversation about the future of Raritan Bay” was the 2015 annual conference sponsored by the Sustainable Raritan River Initiative, a program of the Rutgers Edward J. Bloustein School of Planning and Public Policy. The conference, held June 12 at the Douglass Student Center at Rutgers, initiated a dialogue among representatives from New Jersey and New York that focused on the future of the bay that is flanked by both states. The initiative hosts the annual conference to support the goals of the Sustainable Raritan River Collaborative in restoring the Raritan River. The collaborative has over 130 members, including environmental organizations, Raritan-based counties and municipalities, foundations and charities, businesses, and key regional, state and federal agencies. 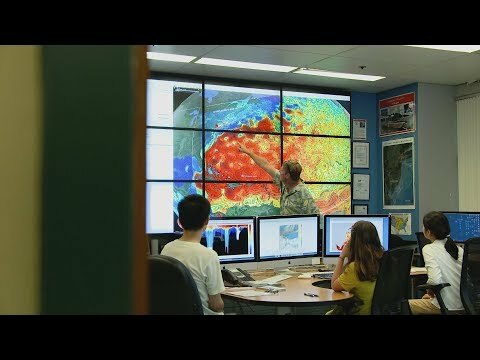 The Rutgers School of Environmental and Biological Sciences is one of the academic partners of the collaborative. The morning agenda of the “Two States: One Bay” conference consisted of five panel sessions focusing on each of the general issues facing Raritan Bay: habitat restoration, resiliency, fish and shellfish management, water quality and public access. Panel members represented various partners of the collaborative. Lunch time table work sessions followed the panel discussions to advance decision-making for each of the five issues. Each table was assigned a specific topic and conference participants identified existing goals for the bay, the status of various sub-issue areas, tools or tactics, challenges and opportunities, and the governance structures related to that issue. The afternoon panel session, “Towards a Shared Agenda,” involved representatives from each of the five general issue discussions to issue group reports about taking a regional approach to managing the bay. Two SEBS faculty were on the issue reports panel: Bonnie McCay, retired professor of human ecology, representing fisheries, and Steven Handel, professor of ecology and evolution, representing habitat restoration. McCay noted that Raritan Bay is a museum of fisheries heritage due to the diversity of species fished in the bay and how they were used. She also remarked that the first U.S. case dealing with the public trust doctrine and tidelands arose over the right to harvest oysters from the waters of the Raritan Bay. The conference was followed by the presentation of the 2015 Sustainable Raritan River Awards, which are given every year to individuals and organizations in the categories of government innovation, leadership, non-profit innovation, public access, public education, remediation and development, stewardship and sustainable business. In 2009, the Edward J. Bloustein School of Planning and Public Policy partnered with the School of Environmental and Biological Sciences — both at Rutgers, The State University of New Jersey — to form the Sustainable Raritan River Initiative. This Initiative brings together concerned scientists, environmentalists, engineers, businesses, community leaders and governmental entities to craft an action agenda that meets the goals of the U.S. Clean Water Act to restore and preserve New Jersey’s Raritan River, its estuary and its tributaries.